As a special solstice treat, Peggy Sue are very happy to be giving away an alternate take on a favourite song, Longest Day of the Year Blues, from their most recent album featuring their friend Willy Mason. The Choir of Echoes LP is out now via Wichita Recordings and the band are set to play a string of festival shows later this year. Peggy Sue had always thought that a US drawl would be perfect for this tale of untimely lost love and Mr Mason delivers the sad story perfectly over a newly recorded, reverb-soaked, drum-less version of the song. And of course Katy and Rosa added their gorgeous harmonies to perfect this extra-melancholy take on the song. With just a week until the start of their upcoming UK tour, Peggy Sue have shared a new Barbaroassa remix of album stand out track, And Always Is. The rework is a B-side on their upcoming single Figure of Eight which is out April 14 via Wichita Recordings. Peggy Sue are currently on tour across Europe and will hit the UK next week, playing a series of dates across the country and finishing with a sold out show at Oslo in London on April 15. The band have also recently just been announced to play Knee Deep Festival in Plymouth later this summer. London-based Barbarossa completely changes the dimensions of Peggy Sue in his rework of And Always Is. The original emotionally powerful track is injected with a hard bass line and mellow riff throughout, presenting the post-folk trio in totally new light. * – with support from Eyes & No Eyes. 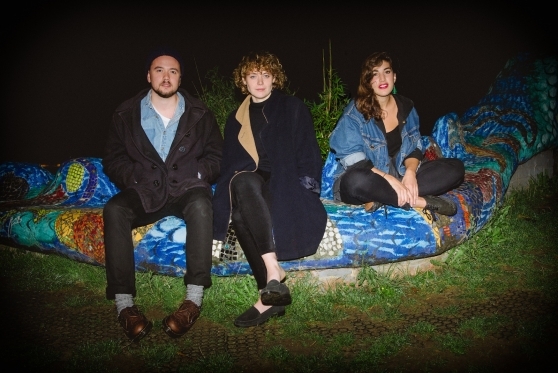 Leeds trio Sky Larkin have revealed a new video for their latest single Newsworthy to coincide with announcing their return to the road in 2014 with a slew of UK tour dates in April. Following the release of the third album Motto last autumn and a run of celebratory dates, the band will be expanding their touring history with shows through April as well as a soon-to-be-announced run through Europe later in the Spring. Also in May, the band will be joining labelmates Cloud Nothings as part of new Leeds festival Gold Sounds, appearing at the Brudenell Social Club on May 26. The video for Newsworthy was produced by visual artist Dan Tombs (collaborator with Gold Panda, Jon Hopkins and Factory Floor). It utilises footage taken from Prelinger Archives of educational, industrial and amateur films and has been visually treated by the artist. The end result is a beautiful and rather hypnotic take on the song’s title theme. In anticipation of their forthcoming album Choir of Echoes, which is set for release on January 27 through Wichita, Peggy Sue have revealed a beautiful new track, Longest Day Of The Year Blues, from the record. In the words of the band Longest Day Of The Year Blues: “…is a pretty straightforward break up song. One of those break up songs about getting dumped and having to go to work the next day when the next day happens to be the longest day of the year. Peggy Sue reveal a new video for their latest single Idle in anticipation of their forthcoming third studio album, Choir of Echoes which is set for release on January 27 through Wichita Recordings. The band will play a sold out show at St Pancras Church on the same night to celebrate the album’s release. This will be followed by a full UK tour in April which includes a newly announced show in Coventry. The striking vintage visuals of Peggy Sue’s found-footage collage finds a series of 1920s dancers moving in sync with the the sounds of this gripping track, making for a clip that’s captivating yet somewhat uncomfortable. Choir of Echoes was produced at the legendary Rockfield Studio in South Wales by Jimmy Robertson (the man who made the “…Scorpio Rising” collection) and mixed by John Askew (who also worked with the band on their debut full-length, Fossils and Other Phantoms). The past two years have allowed the band time to experience a vast array of new sights and sounds which have translated wonderfully into their new work. Choir of Echoes sees Peggy Sue come back around on their best form to date and provides an emotional venture into a realm of sensibility that this band have to offer. 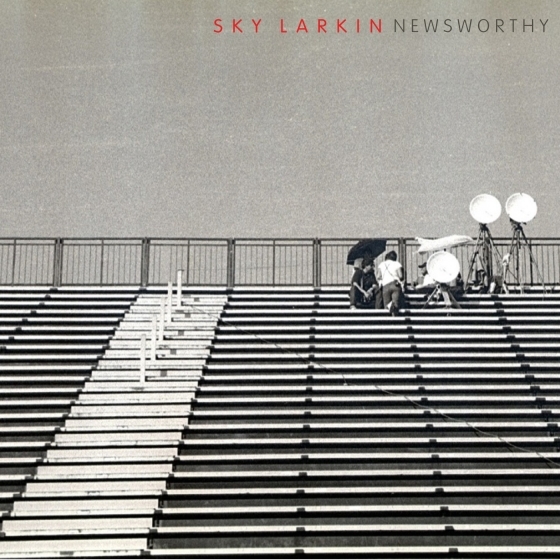 Leeds’ Sky Larkin have announced details of their new single, Newsworthy. The track, taken from their third album Motto, is to be released on December 9 through Wichita Recordings. The release will be backed by a new track, Parapet, and available digitally. Orders via the band’s website and also the Wichita Recordings shop will receive a specially-curated ‘Newsworthy’ newspaper, created and edited by the band. In the words of singer and guitarist Katie Harkin: “The scale of the disembodied digital world can numb us into passive awe but it doesn’t have to be like that. Keep it newsworthy; it helps. The lyrics in Newsworthy are instantly catchy and cleverly constructed, “Darling I’m drowning/The cacophony is coming for me/There’s no such thing as disembodied intimacy/So when you’re into me…Sucker punch me with something newsworthy”. There is something about these lyrics that will keep you coming back for more. Having female vocals singing, “Sucker punch me with something newsworthy…” is unexpected which is what makes it so great to hear. Harkin’s vocals are powerful yet feminine in this song suiting the lyrics, music and attitude of the song perfectly. The release coincides with new shows for the band; they will be joining The Wedding Present for a show to celebrate the 100th anniversary of the legendary Brudenell Social Club in Leeds, their home city. Sky Larkin also play with Yuck and Dutch Uncles as part of the All Years Leaving Event in Birmingham this month. Newsworthy is the next chapter in the band’s resurgent story: following a short hiatus while singer and guitarist Katie Harkin toured the world as part of Wild Beasts, Sky Larkin returned with Motto in September this year, a record that garnered blanket praise and the most acclaim for any of their albums so far. After a summer of festivals, pre-album support shows and autumn headline dates, the band will soon be announcing UK and European shows for 2014. After the unveiling of their widely praised new single Idle, Peggy Sue are pleased to announce more details of their forthcoming new record plus a UK headline tour scheduled for the Spring. 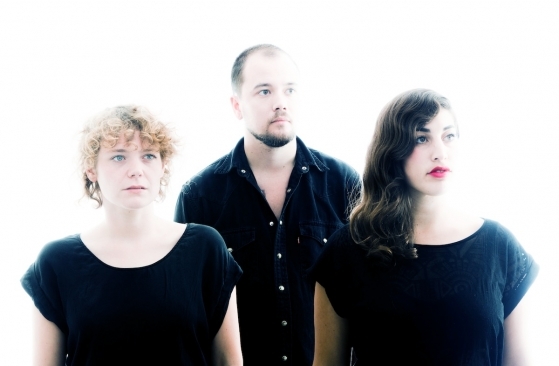 The London-based trio’s third full length Choir of Echoes will be released on January 27 2014 through Wichita Recordings celebrated with an already-sold-out show at St Pancras Church on the same day. Tickets went on general sale on Friday 1 November. Produced at the legendary Rockfield Studio in South Wales by Jimmy Robertson (the man who made the “…Scorpio Rising” collection) and mixed by John Askew (who also worked with the band on their debut full-length, Fossils and Other Phantoms) the new Peggy Sue album will be released early next year, on January 27. If you’ve ever wondered “Peggy Who?” then here’s your answer. The past two years have allowed the band time to experience a vast array of new sights and sounds which have translated wonderfully into their new work. 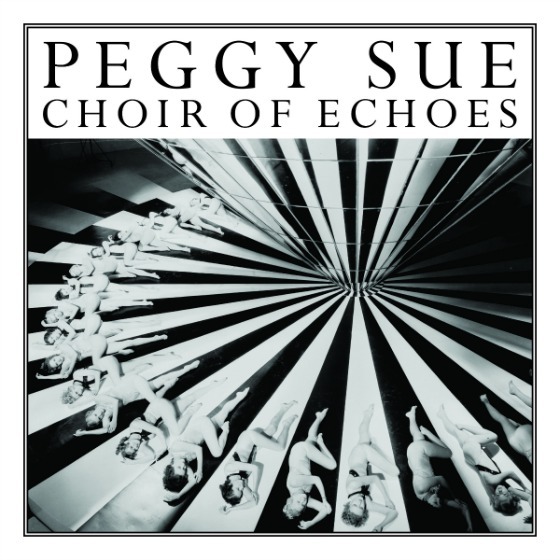 Choir of Echoes sees Peggy Sue come back around on their best form to date and provides an emotional venture into a realm of sensibility that this band have to offer.